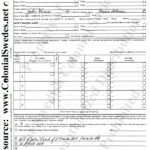 This package includes all Peter Craig’s family group sheets for the first four generations of the Mounce Rambo branch of the Peter Gunnarsson Rambo family. It is about 18 pages long. 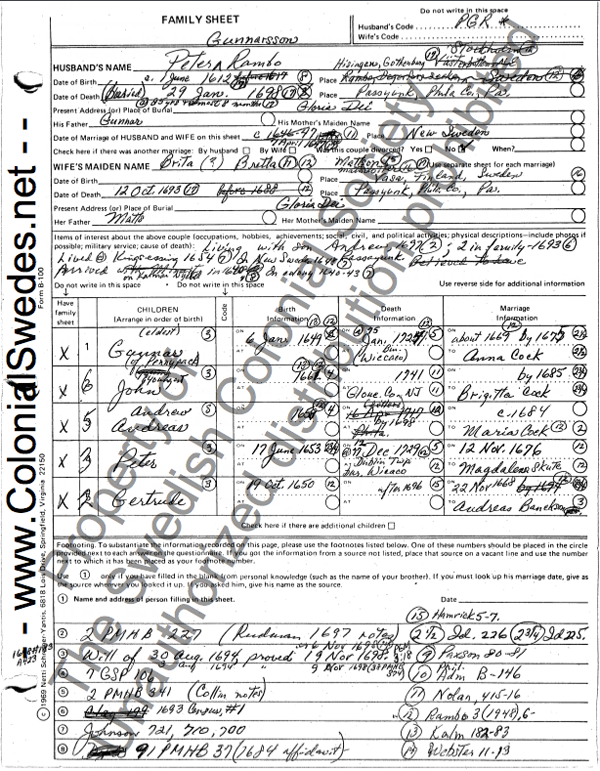 It contains the family group sheets for Peter Gunnarsson Rambo (1612-1698), his son Gunnar Rambo (1649-1724), his son John [Gunnarsson] Rambo (1673-1746), his son Måns [Johnson] Rambo (1700-1782), and his uncle Peter [Gunnarsson] Rambo (1678-1753). After paying, you will find the download button by clicking on Return to Craig Collection which takes you back to the Checkout page, and/or by checking your email for the Craig Collection’s Download Notice. Using Adobe’s free Reader software or Adobe Acrobat (which you have downloaded from Adobe.com, opened and on cue designated as the default for opening PDFs), you will be able to key word search and print this indelibly watermarked read-only PDF once it is downloaded. The search will highlight the approximate location(s) on the page(s) where the key word appears. 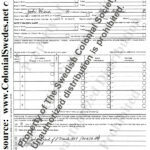 For help regarding: For help regarding: using this process contact craigcollection@colonialswedes.net; Swedish colonial genealogy contact scsgenealogist@icloud.com; Swedish Colonial Society new membership and preparing forefather applications contact registrar@colonialswedes.net. 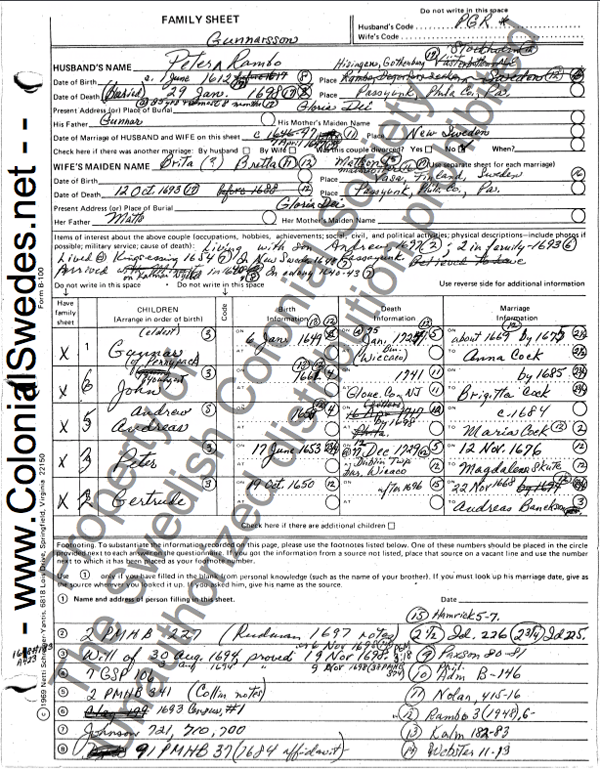 These packages were prepared by SCS Genealogist Ron Beatty for members who wanted to see all Peter Craig’s detail around their earliest Swedish colonial ancestors. 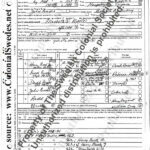 Click here to download and print a free Dictionary (MS Word doc) of the abbreviations used by Peter Craig for many of the references in his family group sheets.